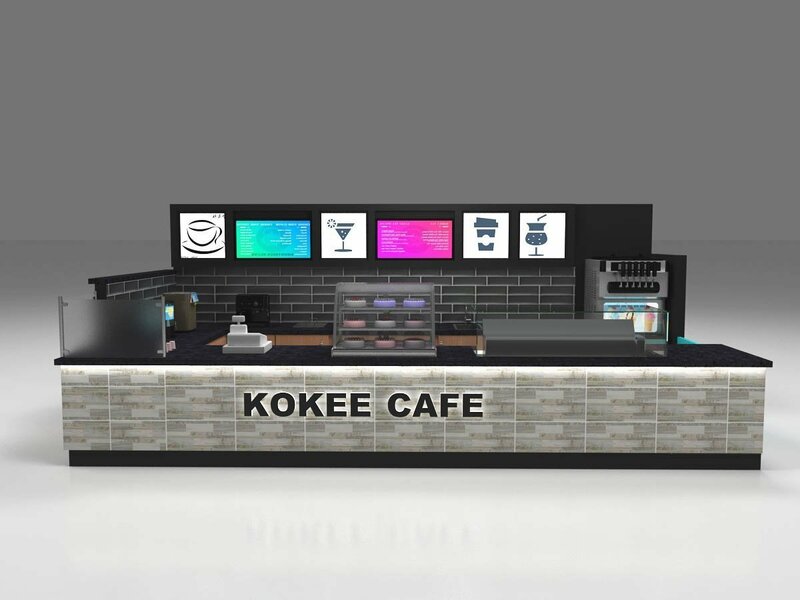 Black tiles bubble tea kiosk design juice bar in mall for KOKEE CAFE. Today I m going to share a nice Black tiles bubble tea kiosk design juice bar used indoor mall. 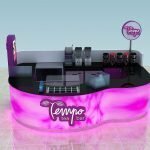 How to start a bubble tea kiosk in mall ? Mall kiosk is becoming more and more popular for new business startups. Less invest, easy setup, easy franchise are all reasons that people choose a mall kiosk business . 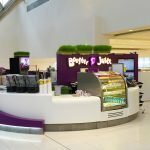 Bubble tea kiosk as a juice bar in mall aren welcomed all over the world. To start a bubble tea kiosk business in mall. 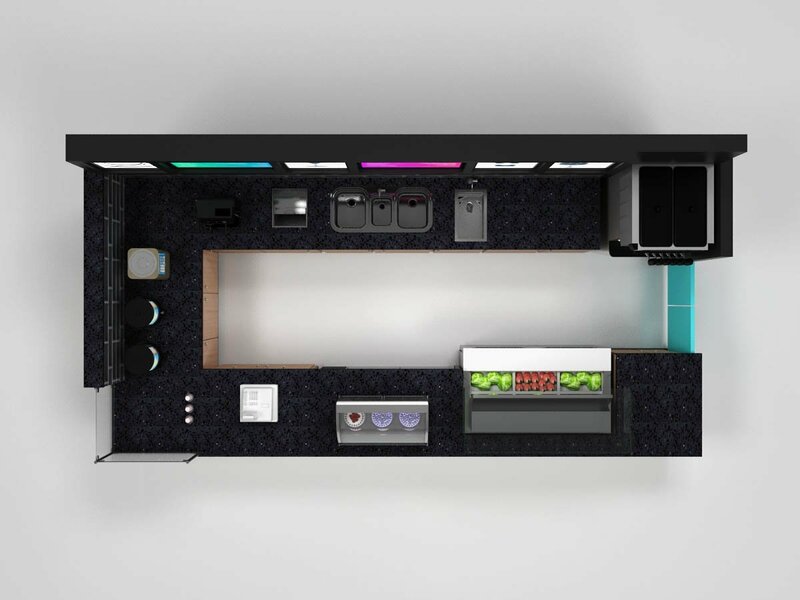 The fist step is to have a bubble tea kiosk design . However , what kind of design suit for your brand ? what kind of color will be best fit in? what size of the bubble tea kiosk will look great ? There are huge of questions standing in the way. 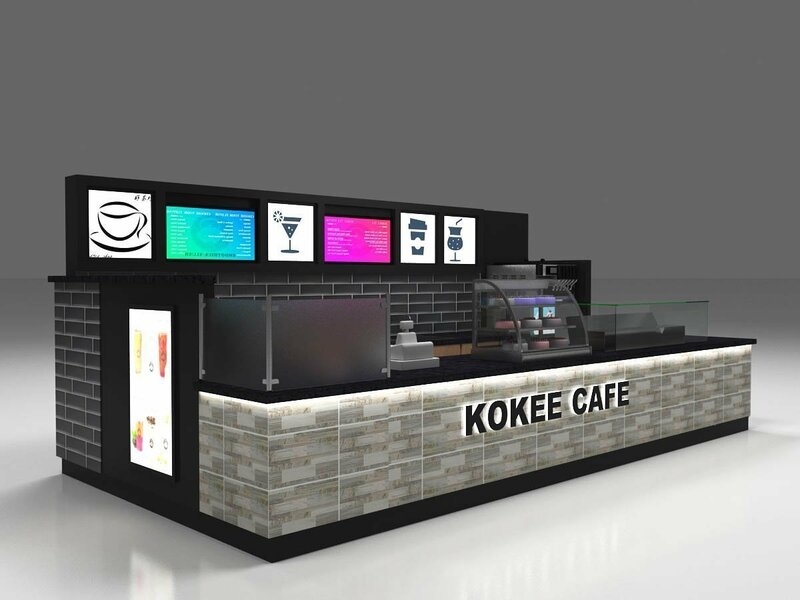 A professional mall kiosk designer is essential .Unique Kiosk is such a kiosk designer and bubble tea kiosk manufacturer can just right for you. We have build thousands of bubble kiosk and shipped to different countries and cities . When you got a bubble tea kiosk design, The next step is to submit to mall manager or manage department to get a lease. This could be a tough and difficult progress. Sometime you like the design but mall will not allow you have that features. You need to go back and forth between mall manager and designers. revise the drawing and submit again and again until they approved your drawing. After they stamped APPROVED on your plans , you can relax your tensed nurse and go to manufacturer fabricate your bubble tea kiosk. 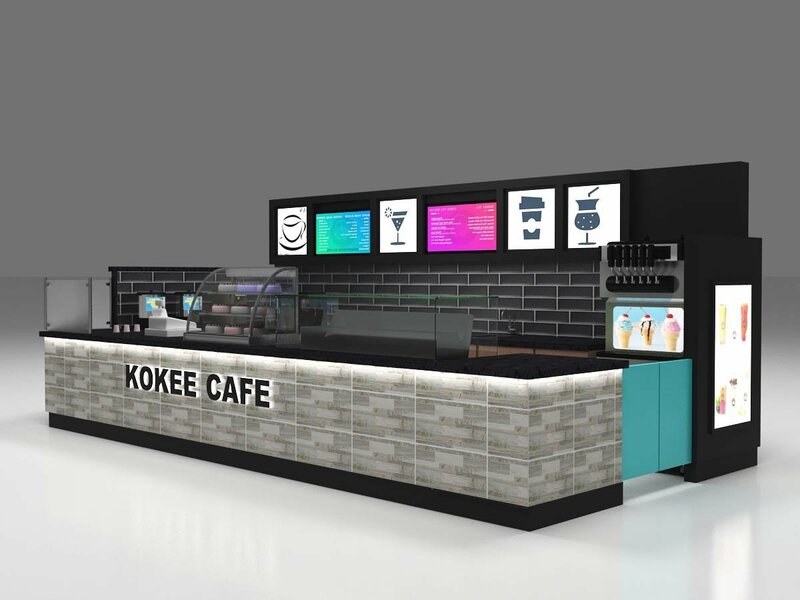 Here blow is a newly bubble tea kiosk design for brand KOKEE CAFE. As you can see from the images , This bubble kiosk design is build with black tile and cultural ties, Those tiles combination in kiosk design make the whole kiosk a great kitchen circumstance . 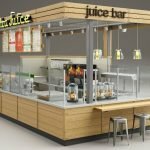 Passersby has more potential to buy a cup of drinking in this types of juice bar. The size of this bubble tea kiosk is 5*3 meter. If you have a different size want to adapt this kiosk design .Do not worry. 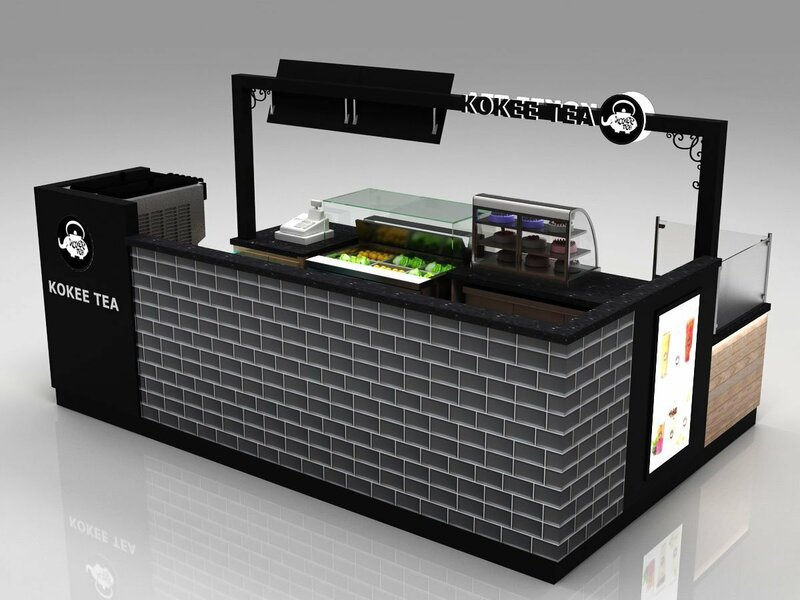 We have professional design team can make you a new bubble tea stall design with this concept. Due to The whole design concept is black and grey color. The backlit logo and poster becoming very bright and attractive . So this design strategy is very good for those who want a highly advertised Brand. 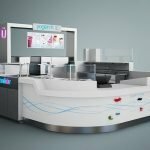 Why choose unique kiosk bubble tea kiosk ? 3)Our products’ package is foam inside with wooden box outside ,which is very. safety.’0′ tolerance to damage of finished. 4)Our delivery is very fast. 5)We can help you to buy some machines about food kiosk, delivery together with. your goods so that you can save much time and money.